Your existing Legend Vantage traditional gas fire has provided years of trustworthy service eventually begin to look a little tired and passed its best. But there is no need to go to the time and expense of replacing the entire fire. The Legend Vantage traditional gas fire trim set is the perfect affordable solution for helping make your gas fire look handsome and like new once again. This set is constructed using only the highest quality materials, making it a smart investment for homeowners who want to refresh and renew the appearance of their Legend Vantage traditional gas fire with a trim set that will remain functional as well as appealing for many years to come. This set comes complete with three sided trim and heavy duty cast Aviva fret. Because it comes in a choice of brass, brushed steel, matt black or chrome, The Legend Vantage traditional gas fire trim set adds the perfect accent to the décor of any home as well as to any room where it is installed. Once the old trim has been replaced with the Legend Vantage traditional gas fire trim set, it immediately adds a cosy and warm ambiance to the room. 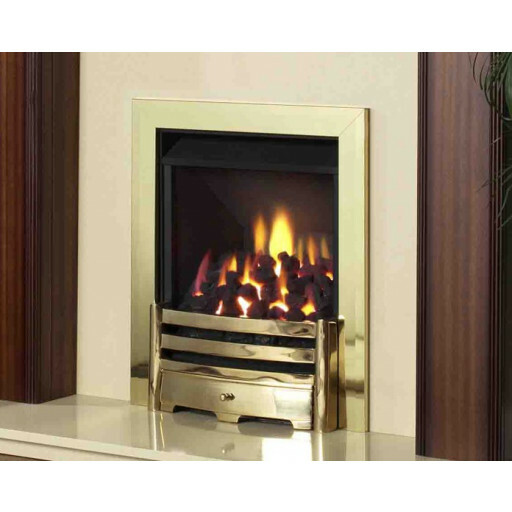 If you haven't been using your gas fire because its worn appearance is making you feel sad and a bit depressed, the perfect affordable solution is Legend Vantage traditional gas fire trim set in your choice of metallic finishes. I rang the Stockport showroom as I didn't know if this would fit my fire. The lady there was very helpful and said to bring my original trim into store . She measured it up for me and although it was not exactly the same it was very similar and I knew it would be ok. Proper modernised my fire in the Chrome colour.